Is Amazon Going to Announce a Phone Tomorrow? We have a vague idea of what Amazon will announce tomorrow—a new Kindle Fire is very likely, a front-lit Kindle too—but what if Amazon had a surprise in store for us? What if it was going to announce a smartphone? There are reports that Amazon will do just that. 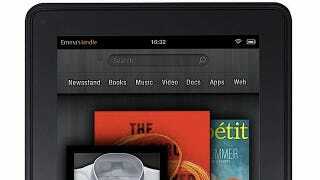 Could This Possibly Be the New Kindle Fire?